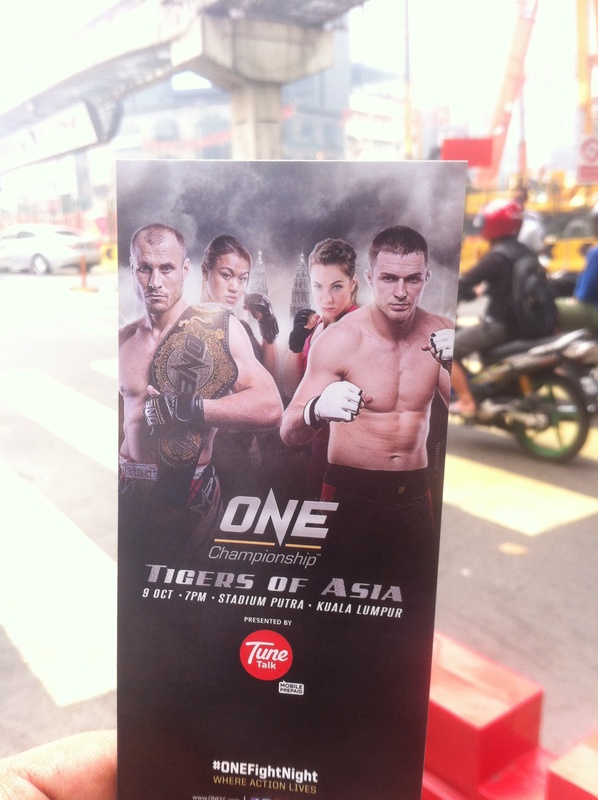 I first heard of the brand Amnig when I attended the ONE FC mixed martial arts championship which took place at Bukit Jalil on 9th October 2015. 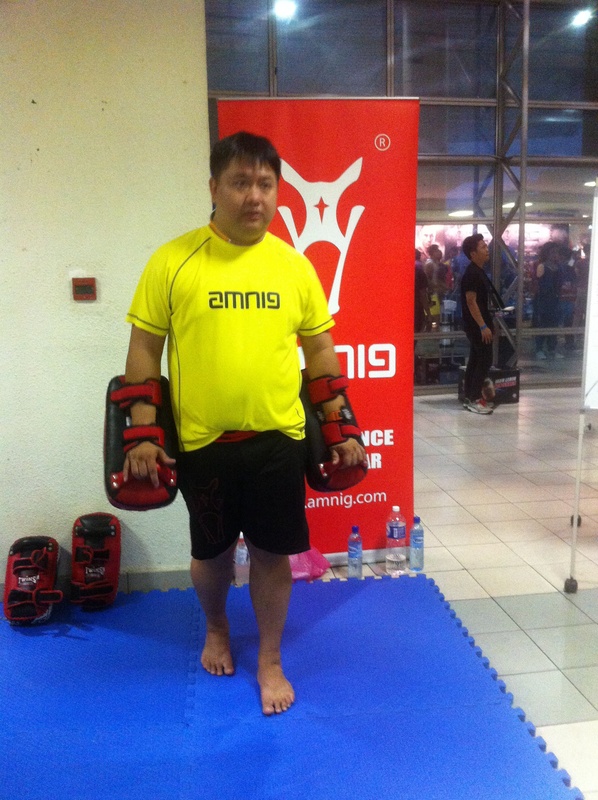 Amnig was the apparel sponsor for the event and many of the fighters competing that night were wearing Amnig fighting shorts. The official cage referees, themselves, wore black Amnig collared T-shirts with the unique Amnig emblem of a horse’s face which represents speed, agility and strength. Amnig had their merchandise booth in the main foyer and their attractive training tops with hoods were sold-out for that night. 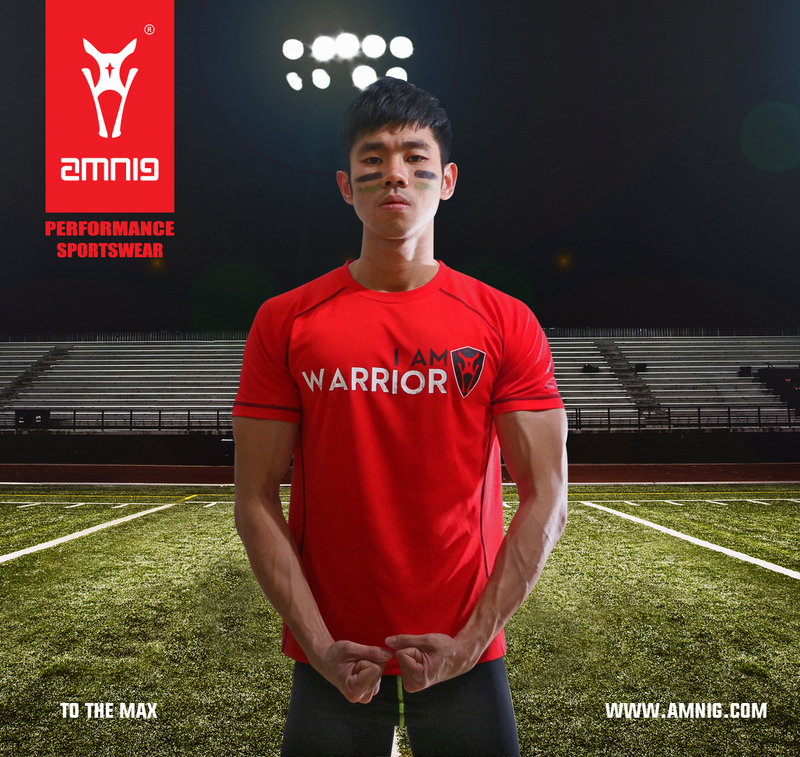 The first time Amnig caught my interest was when I discovered that Amnig was organising a running event – I Am Warrior Run – on 6th December 2015 at One City which is targeting 2,000 runners and offering distances of 10km & 5km with timing chip available for the former distance. 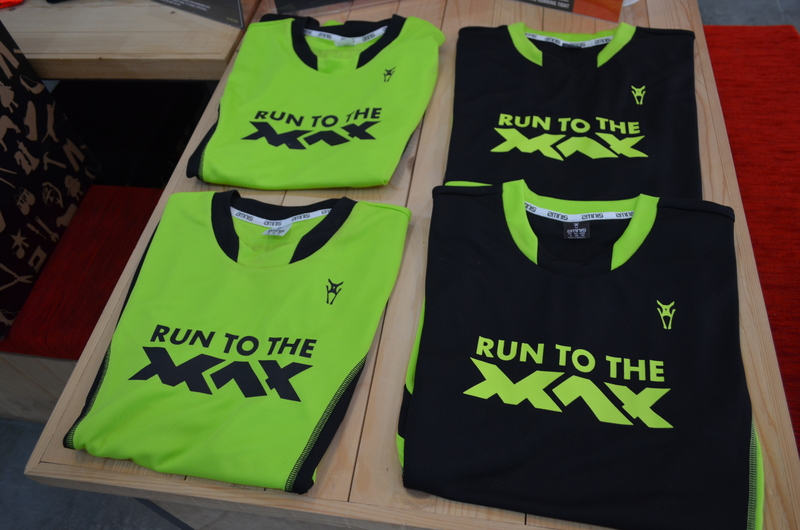 Last year, Amnig held their inaugural run at Bukit Kiara with 500 runners having turned up for it. 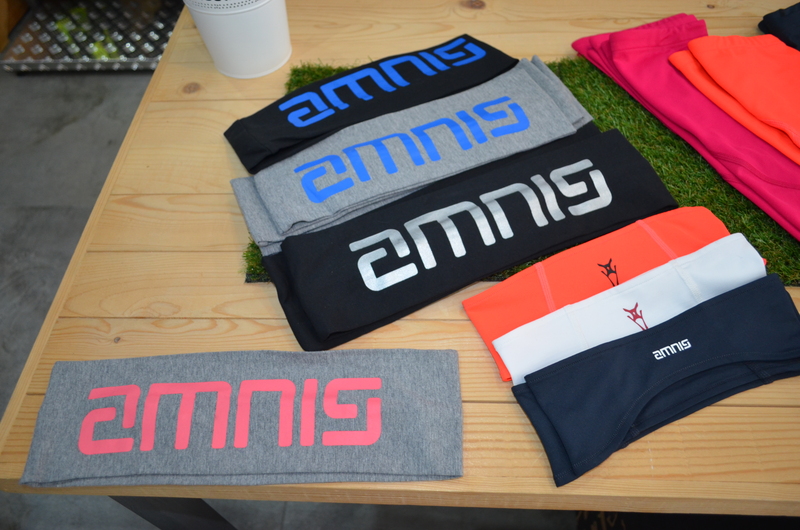 Being a Running Blogger, I interviewed their Business Development Manager, Mr. David Tang to find-out more about the Amnig brand and their upcoming running event. 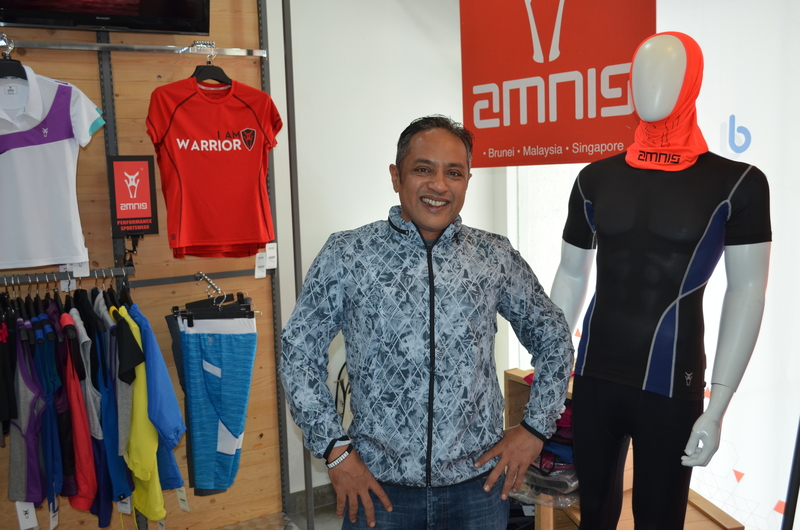 David explained, “Amnig is a Malaysian online sportswear retailer with a factory in Cambodia which employs close to 1,000 workers, and we produce garments for many international customers.” David continued, ”Recently, Amnig has been cutting-back on the sales of Lifestyle garments because we want to focus on the production of performance sportswear, and in particular, we want to concentrate on producing sportswear for the 3 key areas of Running, Training & Fitness. In fact, the purpose of organising our own running event is to give our customers and the running community the opportunity to do something enjoyable because besides the run itself, we have many fun-packed activities planned for the participants such as a Zumba session, Face-painting, Speed Kicking Contest, Photo Contest, Wheel of Fortune, Prizes for Top 5 Runners, and Lucky Draws. 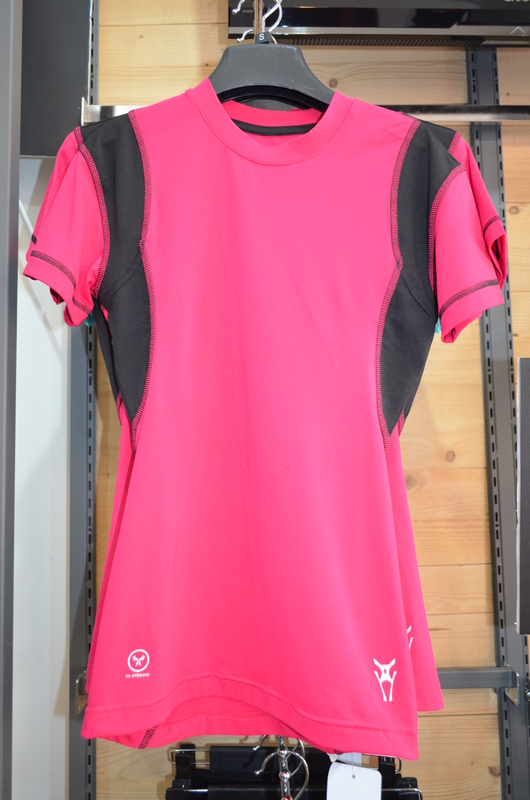 Moreover, each participant will be given our AMNIG dri-fit event T-shirt, and the different cutting for Men and Women Tees will ensure a better fit for both sexes. To cap it off, all finishers will be given a snazzy medal to take home in order to mark their achievements,” David highlighted. 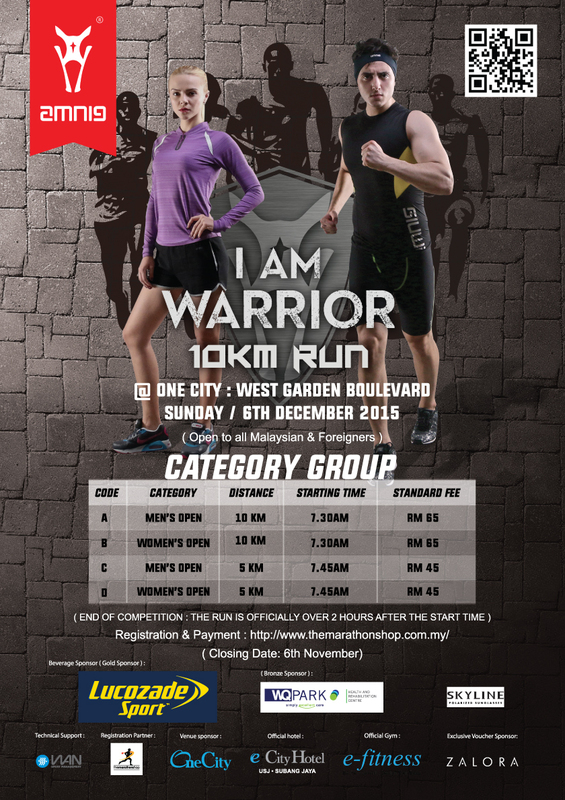 All the slots for the I Am Warrior Run 5km distance has already been taken-up, and for those of you who want to run the 10km, you can register online at the Marathon Shop by end October or until further notice. Register: To earn a RM20 spending voucher which is applicable only for a minimum total purchase of RM80 on that day itself. 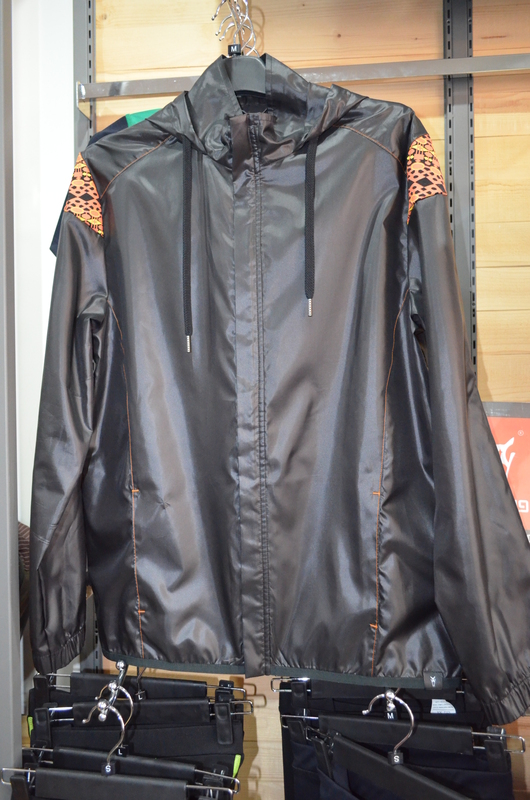 Although, Amnig, under its official business entity of AG Lifestyle S/B, is a relative newcomer in the running arena, its owner, Mr. Colin Cheang, has accumulated 30 years of business experience in the garment industry. Mr. Colin shared, “Amnig has big plans for the near future, and I believe that it is vital for Amnig to preserve our integrity in all of our business activities in order to build earn the trust and confidence of our industry.” In other words, Mr. Colin plans to significantly expand the market presence of Amnig but not if, it means having to compromise the quality of its products and services. So, how good are Amnig products, anyway? 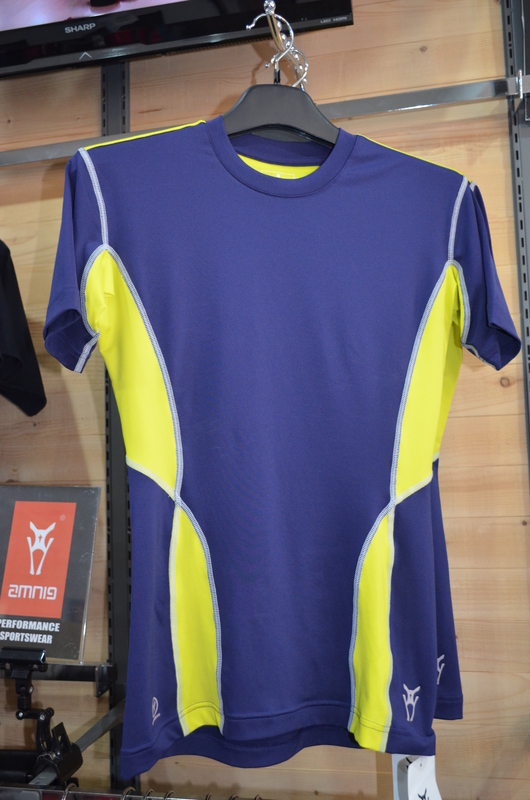 Recently, I did visit the Amnig Concept Store in Damansara to review their running line, and I am happy to share with you here below what I uncovered and discovered. 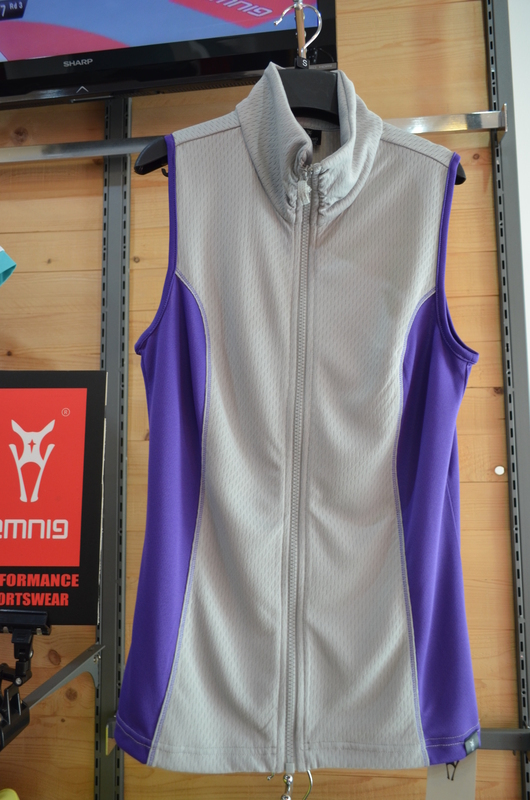 Amnig customers have a choice to either purchase the products online, or some customers prefer to visit their store to touch, feel and try on the garments first before purchasing. 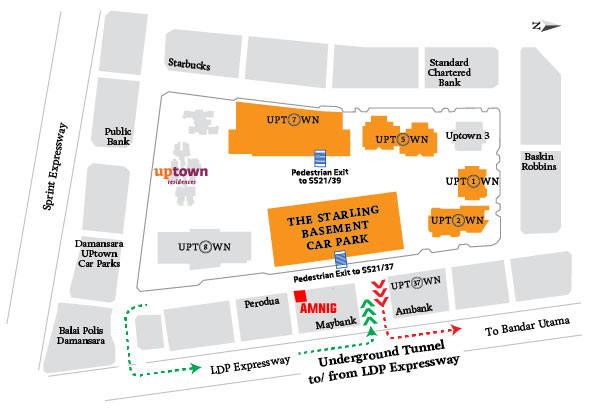 Armed with my DSLR camera I headed to Uptown Damansara to meet up with Amnig Manager, Benny who would give me a tour of Amnig Concept Store. 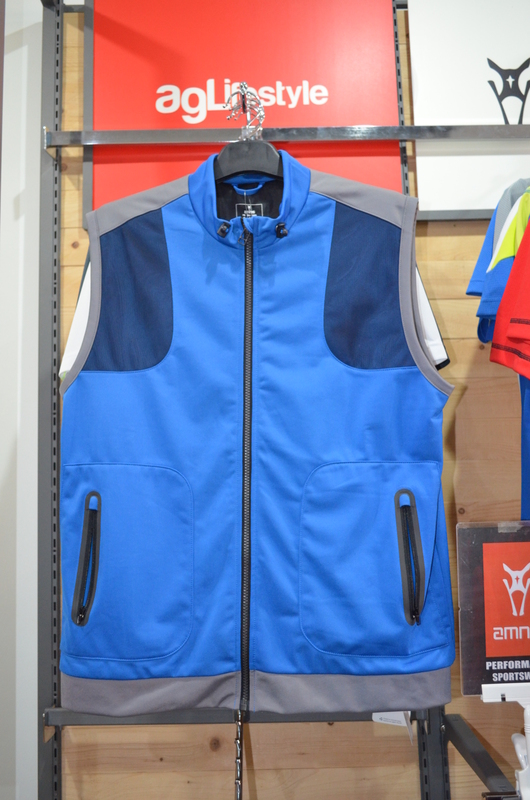 Given that many sports brands tend to over-hype their brand value and often, in their eagerness to sell their products, they are known to exaggerate the true quality of their products, I tried to keep an open mind about my visit, and avoid making any hasty judgment until I inspected all the items closely. Any case, I made my way up the flight of stairs to the store on the first floor. From the street level, the entrance is inconspicuous but once I reached the glass door of the store on the first floor, I could see a showroom neatly displaying the range of Amnig sportswear. The actual store layout was surprisingly spacious and brightly lit which make it ideal for shoppers to browse around comfortably. From a quick initial survey of the store, I could see that store designer has used all the space available in a clever way so as to be able to display as many of the garments as possible and at the same time, leave enough space between the aisles for visitors to admire the many colourful garments. For the next two hours, Benny patiently explained to me about the intricacies of the workmanship behind each of the Amnig sportswear items. As Benny helpfully pointed-out the apparel’s different fabrics, cuttings and designs, I was busy taking notes and photos for my blog write-up. 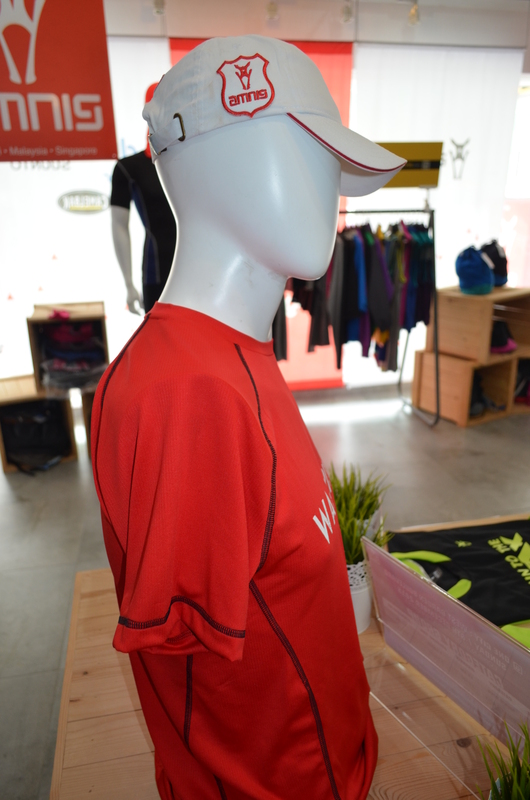 At the end of our session, I walked-away feeling impressed at the considerable thought that went into each design: It was clear that the Amnig staff, from the top to the bottom, were as passionate about the quality of their Amnig sports apparel as we, runners, are about our running! It was this display of genuine passion in their work output that really resonated with me, and it was something to which I could totally relate. 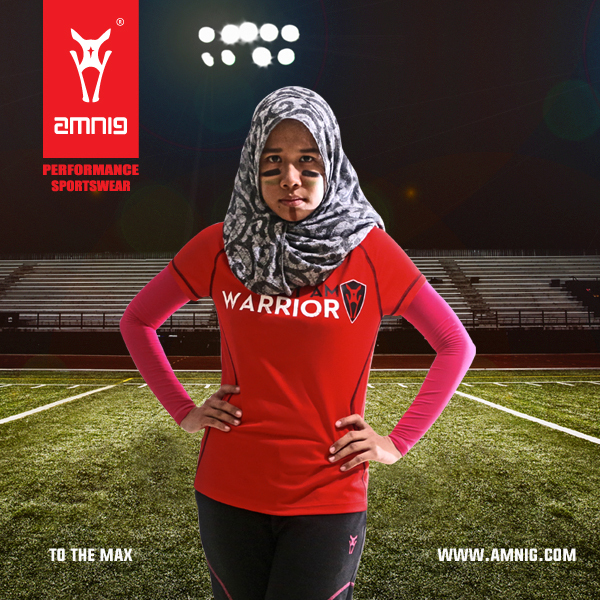 Amnig Sportswear Collection is wide-ranging and you can find compression wear tops and bottoms, dri-fit shirts, training outfits, stylish windbreakers, sports bras, running belts, headbands, caps, arm warmers, mesh sling bags and much more. 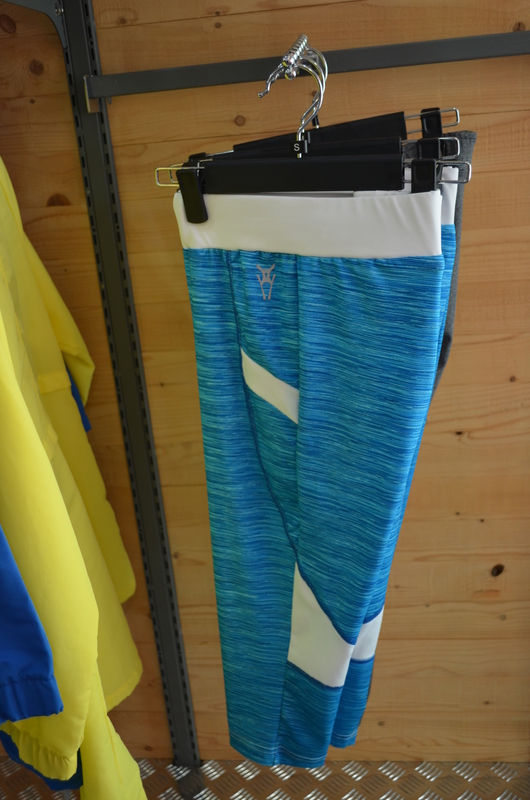 There are many varieties of designs, fabrics, cuttings, and colours from which to choose depending on whether you want to run, train indoors or outdoors, as well as for fitness activities. 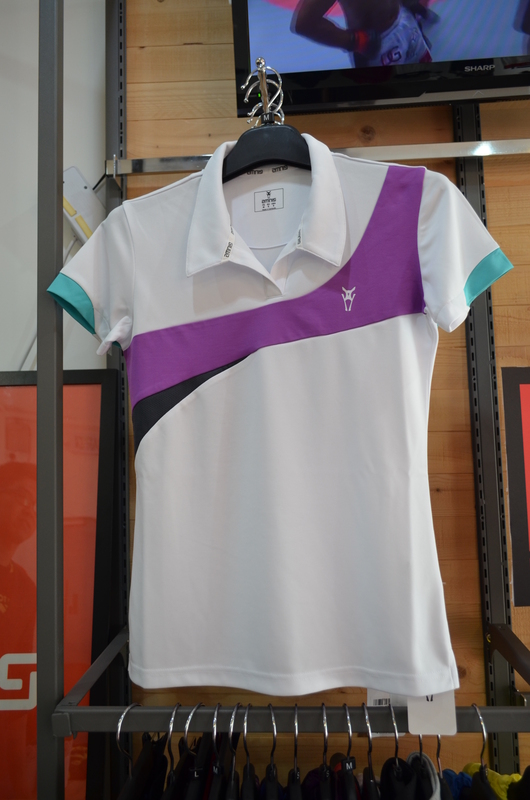 The uniqueness and exclusivity of their designs are ensured by the continuous creation of new designs aimed at improving performance while looking good. 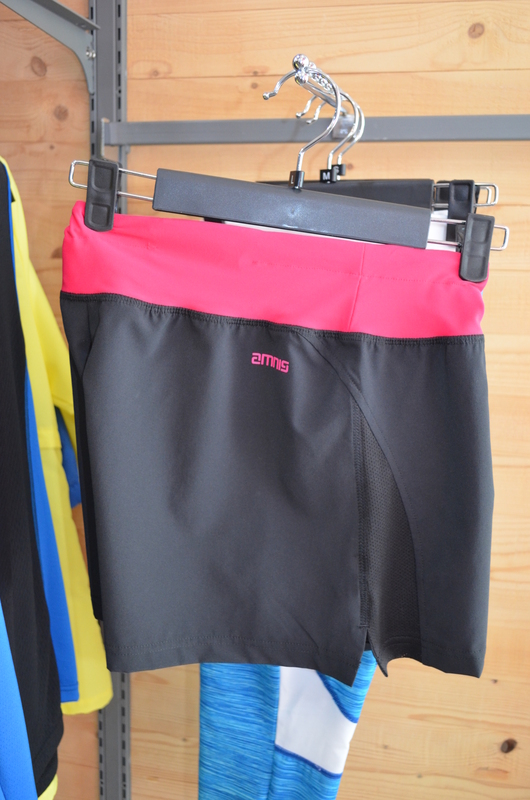 To really appreciate the scale of Amnig sportswear collection, I recommend that you pay their concept store a visit (see location map for information on directions & parking) and like me, be mesmerised by their charming displays. Happy shopping! 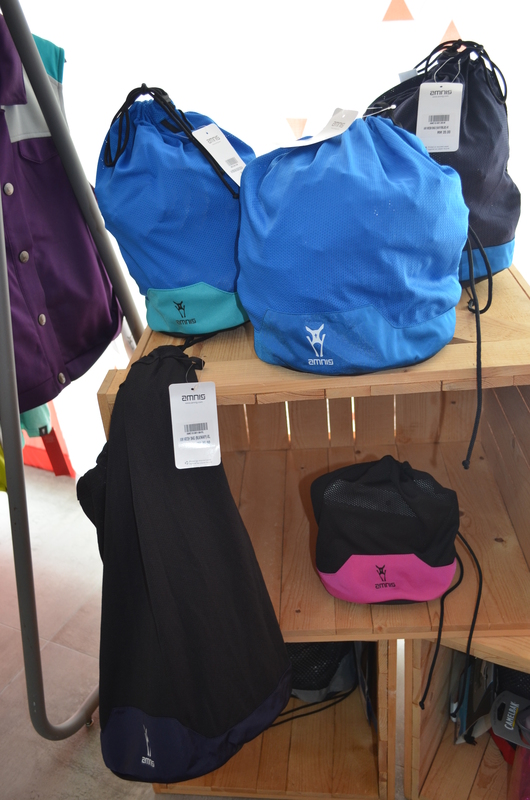 For more of my photos on Amnig Concept Store, click visit HAPPY RUNNER. For any enquiries regarding Amnig, you can speak to Benny (Tel: 03-7727 4007) or visit Amnig Online. 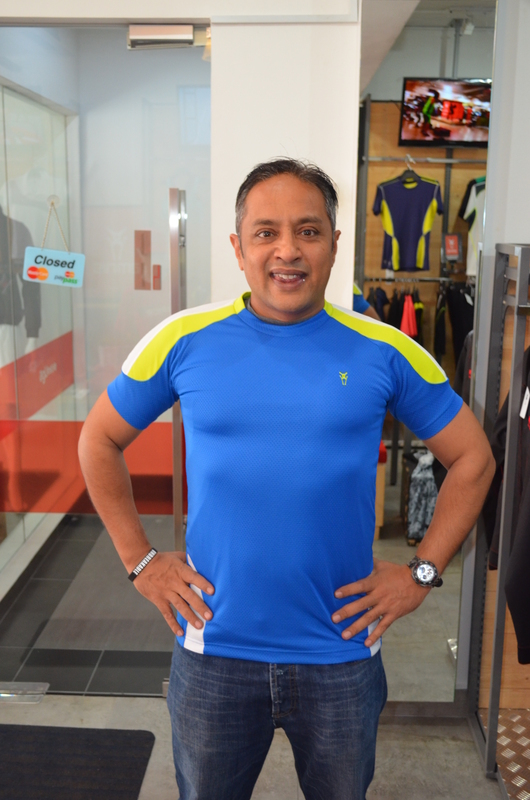 Gus Ghani is a certified HIIT Fitness Coach who is passionate about Endurance Sports. For enquiries, you can email him at gusghani@gmail.com . DISCLAIMER: The prices quoted are true at the time of posting. However, AG Lifestyle S/B reserve the rights to change the prices at their discretion without further notice. 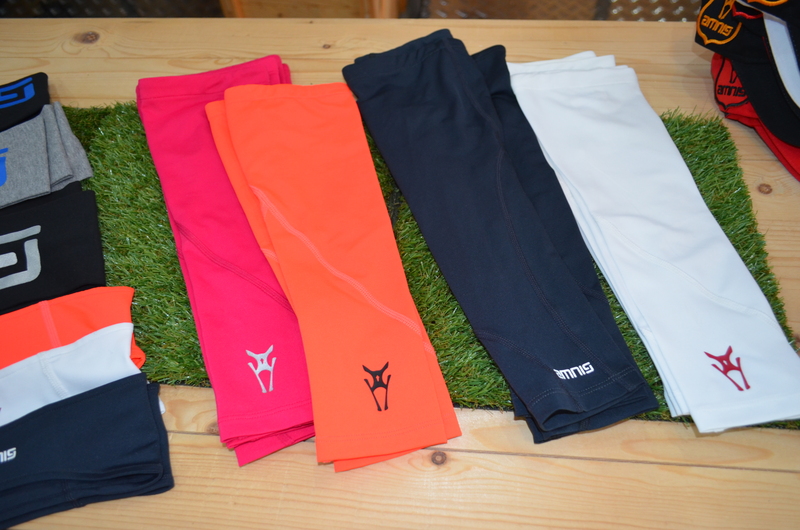 This entry was posted in Bargains, Brand, Fitness, Product Review, Review, Running, Running Event, Shopping, Sportswear, Training and tagged 10km, AMNIG, Arm Warmers, Bags, Bargains, Bottoms, Caps, Compression Wear, Damansara, Fitness, happy runner, Headbands, Jackets, Pants, Retail, Running, Running Belts, Running Event, Shopping, Shorts, Sportswear, Tees, Tops, training, Windbreakers. Bookmark the permalink.